Apple has a serious iPhone problem, Google hates interstitials like the rest of us, Woz likes his headphone jack, Adult Swim brings ToeJam & Earl back, and what happens when the Pokemon fight back? Some Apple iPhones are suffering from a problem labeled Touch Disease, and the chances are that more handsets will succumb to the condition as the iPhone 6 and iPhone 6 Plus show their age. This is no joke either, with Touch Disease liable to render your iPhone unusable. What’s more, there’s no easy fix. According to iFixit, the iPhone 6 and iPhone 6 Plus are both affected, and the cause is nothing but day-to-day wear and tear. Essentially, BendGate Trolling Apple: The 18 Best Reactions To The iPhone 6 Bending [Weird & Wonderful Web] Trolling Apple: The 18 Best Reactions To The iPhone 6 Bending [Weird & Wonderful Web] Apple was trolled hard over the iPhone 6 Plus bending, and we have compiled the best reactions to BendGate just for you. Read More , which was big news for a brief period in 2014, is now coming to fruition, with the extra bendiness of the iPhone 6 and iPhone 6 Plus causing problems inside some handsets. The first symptom of Touch Disease is an unresponsive screen which may fix itself after a reset. However, if left unfixed, a flickering gray bar will eventually appear at the top of the screen, after which your beloved phone is in need of urgent repair. The cause of Touch Disease is two chips which govern the touchscreen. If these malfunction, or become disconnected, then your iPhone is rendered useless. While a third-party repairer will likely be able to fix the problem, anyone asking an Apple Genius to help is being advised to buy a new phone instead. At the time of writing, Apple has yet to issue an official statement on Touch Disease. We will update this article if and when the company does so. Google is making a concerted effort to dissuade websites from using interstitial ads, promising to penalize those who use them by lowering their rankings. Interstitials ads are those that appear while a website is loading or pop up when visitors scroll down to a certain point of a page. Google isn’t punishing the use of all interstitials, instead focusing on those websites using what it calls “intrusive interstitials”. These are pop-ups which obscure the content Let's Put A Stop To Pop-Up Browser Ads Once And For All! Let's Put A Stop To Pop-Up Browser Ads Once And For All! Pop-ups can catch you off guard, and if you're not careful they can create problems. Learn how to avoid them and how to handle them if they do come up. Read More , or which the visitor has to dismiss before gaining access to the content. Both of which are particularly annoying for smartphone users. The types of interstitials which will still be allowed are those warning of cookie usage or age requirements, those asking visitors to log in to see content behind a paywall Paywall Trend On The Internet [INFOGRAPHIC] Paywall Trend On The Internet [INFOGRAPHIC] Being a former newspaper journalist, I can sympathise to a very large extent with the plight of print media. With the relentless onslaught of the Internet, and peoples expectations that "information should be free", print... Read More , and those which only take up a reasonable amount of screen space. So it’s about doing these right rather than not doing them at all. All signs point towards Apple ditching the headphone jack Apple Ditches the Headphone Jack, Mark Zuckerberg Tapes Over Webcam... [Tech News Digest] Apple Ditches the Headphone Jack, Mark Zuckerberg Tapes Over Webcam... [Tech News Digest] Apple plans to kill the headphone jack, Mark Zuckerberg covers his webcam with tape, Twitter lets verified users Engage, Apple will fund your next eBook spending spree, and Jerry Seinfeld's apartment is Doomed. Read More with the iPhone 7; the company appearing to value thinness over practicality. 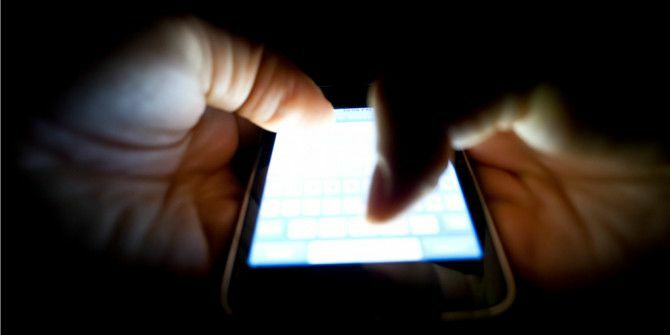 The majority of iPhone users are against this change, and Steve Wozniak, co-founder of Apple Inc., has added his voice to the cacophony of complaints. And this is the point Apple are either missing or ignoring, which is that people already have the headphones they want, and they may have spent a significant amount of money on them, Take away the jack and you’re asking people to either buy an adapter or a new pair of headphones The 7 Best Bluetooth Headphones You Can Buy The 7 Best Bluetooth Headphones You Can Buy Finding the right pair of Bluetooth headphones isn't easy, so we've compiled a list of the best Bluetooth headphones money can buy. Read More . Neither of which is particularly welcome. ToeJam & Earl are making a comeback, with Adult Swim Games developing a brand new title starring the wisecracking alien duo. The game, titled ToeJam & Earl: Back In the Groove, has been made by Greg Johnson, the series designer, and is billed as a true successor to the 1991 original. This means it’s all about the isometric perspective and 2D sprites, as the titular ToeJam & Earl search for parts of their rocket ship while doing their best to deal with the human inhabitants of Earth. As you can see from the trailer below, the emphasis is on having fun, which is a breath of fresh air given the trend towards shoehorning serious subject matters into games 3 Free Games That Can Help You Cope And Understand Depression 3 Free Games That Can Help You Cope And Understand Depression Games - like any other genre of popular culture - can help us understand complex issues. Complex issues like depression and mental health. Read More . ToeJam & Earl: Back In the Groove enjoyed a successful Kickstarter campaign in 2015, and after a significant delay, is due to be released in 2017. It’s currently listed as coming to PC and console, but it isn’t yet clear which consoles it will appear on. In the meantime, the game has its own page on Steam. And finally, while millions of people around the world are happily hunting down Pokemon in Pokemon GO (although Pokemon GO has peaked), we doubt any of them are thinking about the possible consequences of their actions. I mean, what would happen if the Pokemon you’ve caught rose up and exacted revenge on their human masters? Have you had intermittent problems with your iPhone touchscreen? Are interstitials your most hated ad format? Do you agree with Woz that Apple should keep the headphone jack? Will you be buying the new ToeJam & Earl game? Which Pokemon would you least like to encounter in real life? "anyone asking an Apple Genius to help is being advised to buy a new phone instead." Why am I not surprised? That's one way to guarantee a continuing revenue stream now that Fruitco has run out of Steve Jobs-inspired gadgets. Apparently the Geniuses aren't set up to replace the relevant parts, but yeah, if it helps "persuade" consumers to spend more money then Apple are going to make the most of the situation.